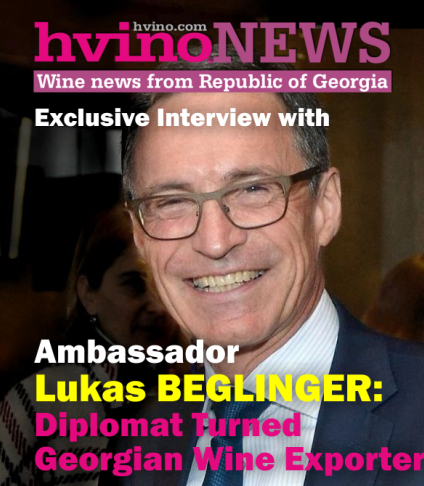 Hvino News | Georgian Wine News: Washington's newspaper: "Go Georgian for unique and fantastic wines"
Washington's newspaper: "Go Georgian for unique and fantastic wines"
22.02.2017 (Hvino News). 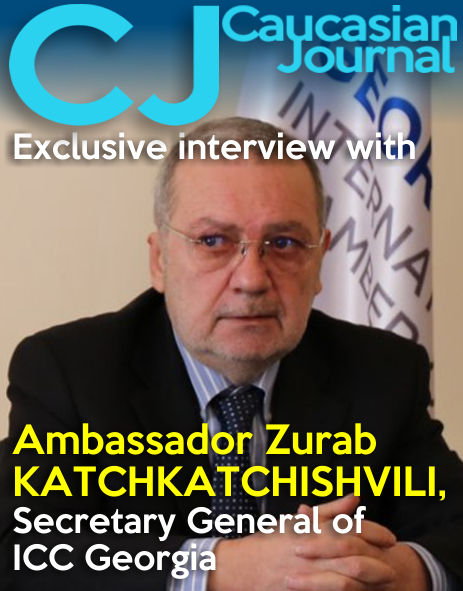 The Washington's Capital Gazette has published an article focusing on Georgian wines. 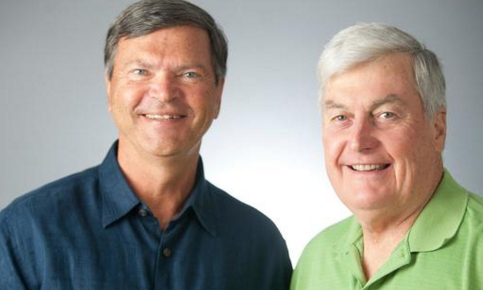 The article entitled "Go Georgian for trove of bargain-priced unique wines" is authored by wine correspondents Tom Marquardt and Patrick Darr. They have discovered Georgian wines for themselves after a recent tasting in Washington, which "yielded a trove of bargain-priced unique wines". •Teleda Orgo Rkatsiteli Mtsvane Amber Wine 2015 ($14). This orange or amber wine from the Kakheti region was produced in the clay qvevri and is an even blend of white grapes rkatsiteli and mtsvane. A deep yellow color and mild tannins were the result of 30 days of skin and seed contact. Very enticing floral notes developed along with almond and orange peel flavors. This white wine is big enough for pork dishes especially cuts with a bit of fat. •Schuchmann Saperavi Kakheti 2014 ($13). This saperavi uses 50 percent used oak and 50 percent stainless steel. It presents a bright beaujolais color and nose. Pleasant black fruit flavors in a medium bodied style that would pair well with barbecued meats. •Teliani Valley Mukuzani Saperavi 2014 ($15). Mukuzani is a sub-appellation of the prestigious Kakheti district. This saperavi is aged in a mixture of new and used oak and presents fresh berry and cherry fruit flavors on the palate. Very refreshing. •Teleda Orgo Saperavi 2015 ($15). We really loved this great value wine. Fermented in qvevri and bottled unfiltered, this would make a terrific bistro wine or an accompaniment for lighter meals. Somewhat reminiscent of a well-made Loire Valley cabernet franc, this wine exhibits bright wild cherry fruit with black pepper notes. Fantastic! •Shalauri Cellars Saperavi Kakheti 2014 ($30). This Georgian red wine offers a bit more complexity than the previous wines. Plum and cherry notes dominate the nose and palate in a very elegant wine. This wine could easily age three to five years. 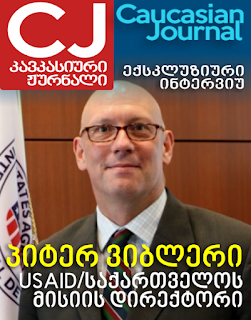 The article in Washington's newspaper also explains that "in addition to supporting a plethora of indigenous Georgian grape varieties, some Georgian wine producers still cling to an ancient wine-making tradition of using clay vessels, called "qvevri," that are buried in the ground to ferment and store wines." 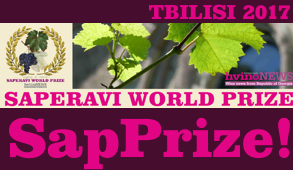 Lastly, the authors conclude that the red saperavi grape, the most widely planted red grape in Georgia, appears to have the most potential to create world-class wine with international appeal. 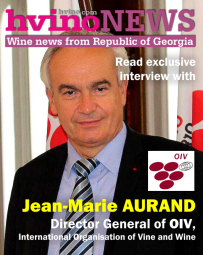 In recent years, awareness of Georgian wines in USA has risen sharply after several publication in leading American general-interest mass medias and in specialized wine magazines. 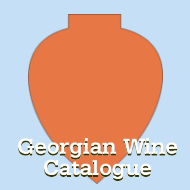 Georgian wines are now available from many retailers in Washington area, New York, and California. For exact location of stores and restaurants offering Georgian wines in USA, see Hvino Map (zoom map to North America).